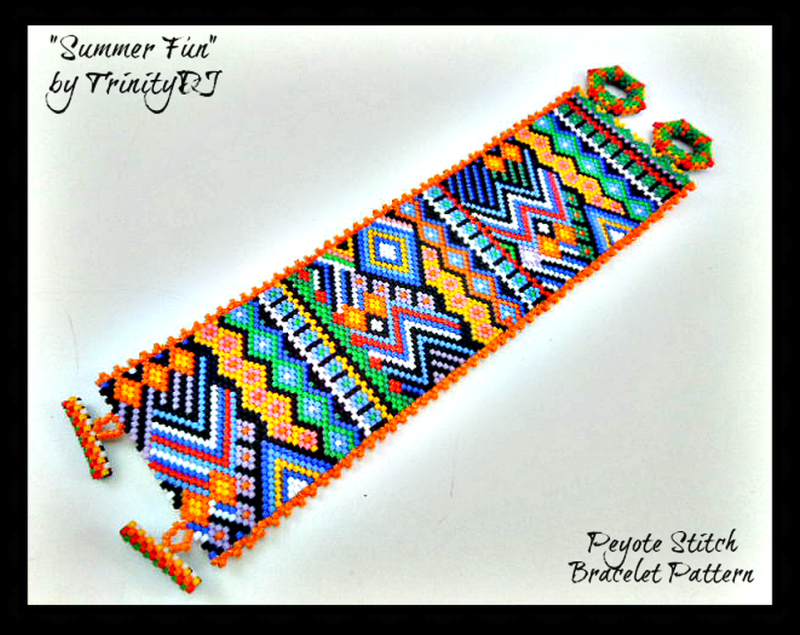 This is an even count peyote stitch bracelet pattern. 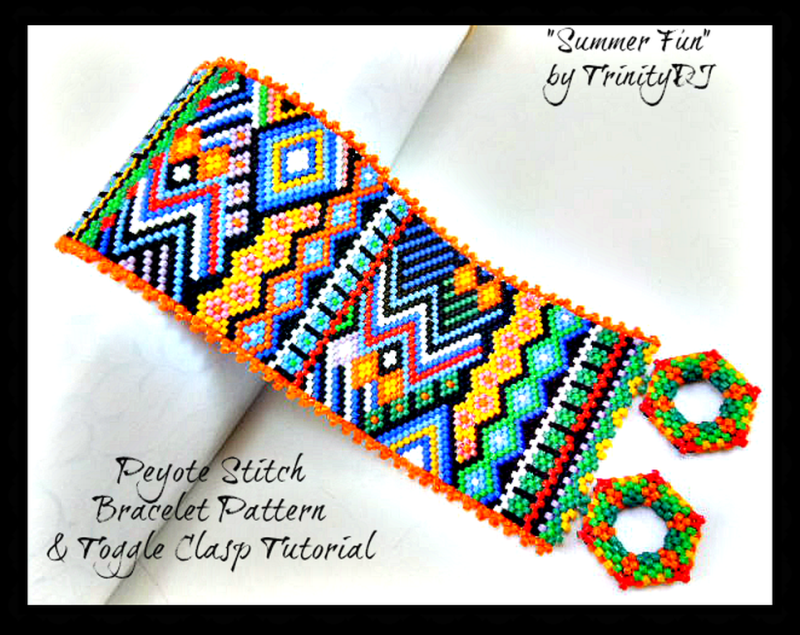 The tutorial for the toggle clasps are included in this pattern. The measurements are given without the clasps and edges. The clasps adds 2" to the length of the bracelet. This pattern is designed for the use of Delica #11 beads and a double 5 lb nylon thread with #10 or #12 beading needle. Instructions for peyote stitch are not included. A Word Chart with rows 1 & 2 combined is included along with the graph.